4/1/2011 THIS PROJECT HAS CONCLUDED. I'M NO LONGER ACCEPTING SQUARES. THANK YOU EVERYONE WHO HELPED. WE SENT 3,002 SQUARES. I'm starting a project to send squares to Pine Ridge Reservation. If you want to participate with me, make squares any color (solid or multicolors) using this pattern. By everyone using the same pattern it should facilitate assembly. ie: Every square will have the same number of side stitches as everyone else's. 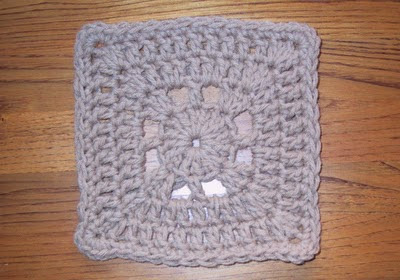 Use Red Heart Super Saver yarn and whatever size hook necessary to make your squares 6 inches square. When I receive the squares I will edge them all with a round of the same color. Then I will forward them and a skein of matching yarn on to the PRR. There is a group there that will crochet or sew them together and distribute them to people who can use them. My goal is 1,000 squares. (update 12/4/10 the goal has been upped to 2,500) I'd like to send enough squares each month to make a twin sized afghan (70) or baby blanket/lapghan (36). First date to receive squares by is September 15, 2010. Second date is October 31st. We will see where we go from there. Then I will provide my mailing address. Thanks for any squares you can make for this project. See the update on this project. 1. 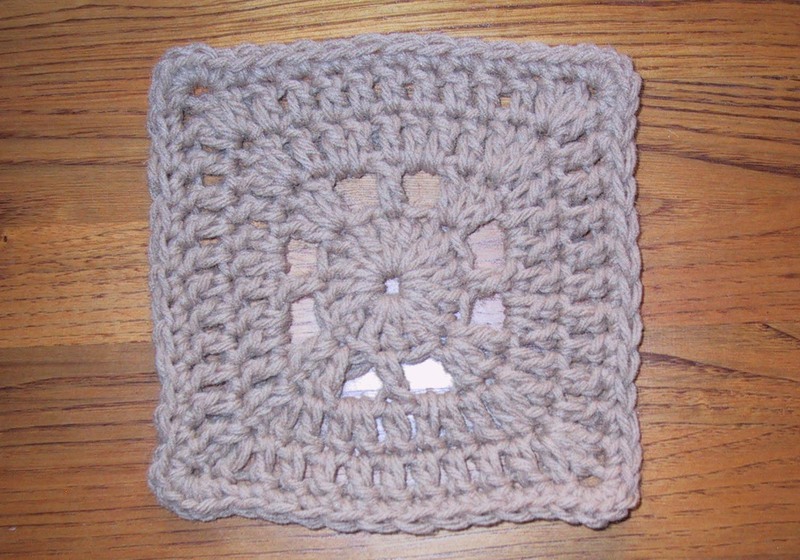 Use Red Heart Super Saver yarn and whatever size hook necessary to make your squares 6 inches square. DO NOT use Simply Soft. 2. Follow instructions about when to pull the slipstitches tight and when not to. 3. Solid does not refer to solid colors only, it was a reference to being more solid than the first squares I posted the link for. This is the preferred square. 4. If you have trouble getting you square up to 6 inches, work round 5 in hdc, with 3 in each corner and then work a sc round with 3 in each corner. Still 64 stitches on the final round. Ch 5, join with a slip st in first ch to form a ring. I found your site by accident and so glad I did, doing some of the squares you have for charity. They go real fast and am able to use up some of my stash as I have lots. Will e-mail you when I have enough to mail out. ALso love the rectangle granny, been looking for this pattern. Also using up yarn by crocheting a baby blanket with that pattern for my granddaughters dolly..